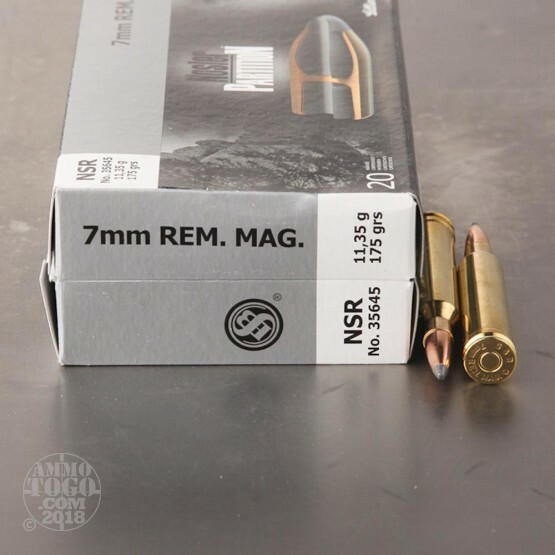 This is 7mm Rem Mag Sellier and Bellot 175gr. 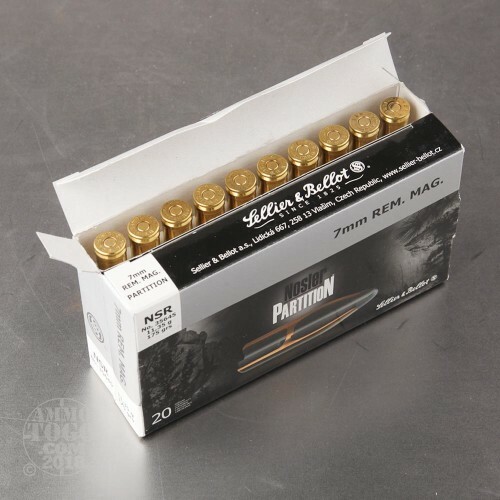 Nosler Partition Soft Point Ammo. 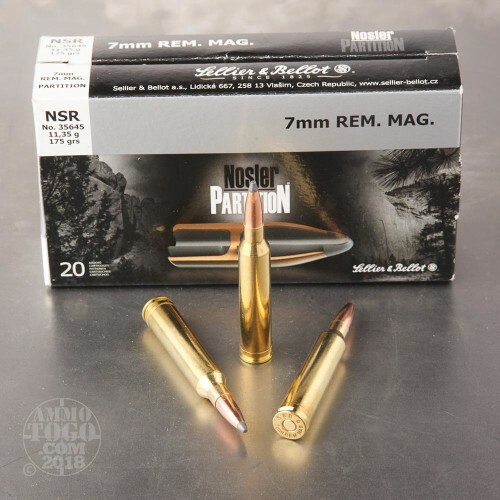 These rounds are fresh from S&B, and loaded with Nosler's famous Partition projectiles. This puts the Partition round in your chamber for less than other competitors. 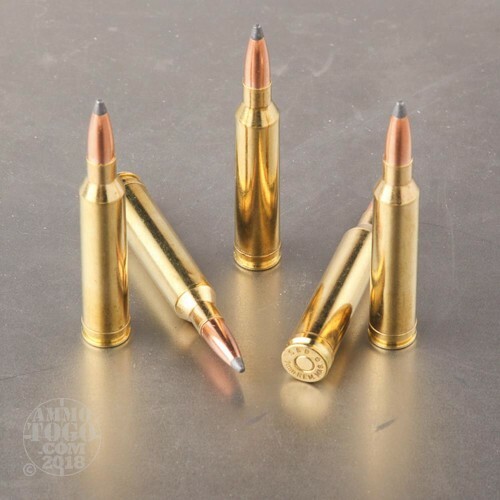 Combined with Sellier and Bellot's high quality standards, these rounds put the drop-right-there performance you want in your hands at a reasonable price. This ammo is brass cased, boxer primed, and non corrosive. It comes packed in 20rd. boxes. Muzzle Velocity: 2890 FPS.